VIRGINIA BEACH, Virginia––Fatally mauled by a pit bull named Blue just six hours after Forever Home Rescue & Rehabilitation delivered him to her daughter Linda Colvin Patterson at their home in Virginia Beach, Virginia, Margaret M. Colvin, 90, died at about 6:30 a.m. on June 1, 2017, after enduring an arm amputation as surgeons struggled to save her life. Blue had reportedly been surrendered to the New York City Animal Care Centers’ Manhattan shelter in December 2016 after biting a child. Blue was “pulled” for “rescue” through the NYC Animal Care Centers’ New Hope adoption program by Edie Hardy of Animals Can’t Talk Rescue & Adoption, located in East Stroudsburg, Pennsylvania. Hardy fostered Blue out to Julie Winch of Rochester, New York. Arriving ill, Blue incurred a bill of $5,900 with Veterinary Specialists & Emergency Services Inc. of Rochester. The bill became subject of fundraising appeals routed through Rochester Hope for Pets. Blue was transported from Rochester to Animals Can’t Talk circa December 31, 2016, apparently with the help of New Jersey rescue transport volunteer Jo Ann Treiber. By the end of February, however, Blue was transported again, to Forever Home Rescue & Rehabilitation, a nine-year-old organization specializing in “problem” dogs, begun in Knott’s Island, North Carolina, now operating facilities in both Virginia Beach and Norfolk, Virginia. What Forever Home Rescue & Rehabilitation did not mention was that Blue was adopted out on April 22, 2017 to Tia Walke of Virginia Beach. Walke returned Blue to Forever Home Rescue & Rehabilitation due to aggressive behavior just two days later, she told Aliah Hordges of WTKR News 3. “Right after my nephew petted him just for initial meet and greet, that’s when it kind of went the wrong way,” Walke told Hordges. Edie Hardy of Animals Can’t Talk. But the Colvin killing appears to have begun the much that same canner. Amber Patterson, 27, granddaughter of victim Margaret M. Colvin, told 13News Now reporter Chenue Her that Colvin “was walking into her room when the dog pushed her over and mauled her,” Her said on camera. “The attack lasted about five minutes,” Her continued. “Patterson said her mother tried hitting the dog with a hammer to get him to stop, but that didn’t work. It wasn’t until her grandmother stopped screaming and crying that the dog stopped attacking. Why was Blue wearing a shock collar? Since when does any shelter rehome a dog with a shock collar on? No one seemed to have any immediate explanation for that, but Linda Colvin Patterson “says the pet couldn’t be stopped during the roughly five-minute rage,” elaborated Jane Alvarez-Wertz of WAVY-TV News 10. Richard L. Colvin, Margaret M. Colvin, daughter Linda Colvin Patterson, & some of the many dogs they had over the years. Continued Harper, “Linda said she was in the back yard with the dog when she noticed that an electric shock collar and a canvas one seemed to be tight and bothering Blue so she took both off. It was around that time that she noticed that her mother — who was diligent about keeping the doors bolted — had locked her out. Linda knocked and called out to her mother, but the woman had fallen in her room and couldn’t get up. “Linda said her mother seemed irritated by the dog’s actions and yelled at him,” Harper reported. Blue at Forever Home Rescue & Rehabilitation. A 112-photo album posted by the Rosewood-Kellum Funeral Home in memory of Linda Colvin-Patterson’s father, Richard L. Colvin, 85, who died in January 2015, documents many dogs kept by the Colvin family from the mid-1960s on, as Patterson grew up in the same home. Richard L. Colvin and Margaret M. Colvin had been married since 1948. According to the adoption promotion materials posted by Forever Home Rescue & Rehabilitation, Blue was one year old and weighed 50 pounds, whereas Veterinary Specialists & Emergency Services Inc. had six months earlier identified him as more than a year old and 62 pounds. That assessment was of course offered before Margaret L. Colvin became the 48th known fatality inflicted by a former shelter dog in the 10 years since the 2007 Michael Vick dogfighting case introduced a vogue for rehoming pit bulls and other dogs of fighting breed and/or high-risk history. Emmet, who recently mauled Lucas Harrison, age 15 months. Colvin was killed less than five weeks after Lisa Green, 32, of Upper Macungie Township, Pennsylvania, was on April 27, 2017 killed by her own pit bull, adopted from the Peaceable Kingdom fostering network in nearby Allentown. The chain of events leading to Colvin’s death somewhat paralleled the “rescue” of a pit bull named Emmet from the New Iberia Parish Animal Shelter earlier in 2017 by NOLA Freedom Transport, founded in 2014 by SugarDeaux Cookies & Cakes owner Karen Anderson of Destrehan, Louisiana. Relayed to the Clinton Humane Society, Emmet on March 15, 2007 mauled 15-month-old Lucas Harrison, inflicting extreme disfiguring facial injuries, within an hour of adoption by a neighbor of the Harrison family. Forever Home Rescue & Rehabilitation was founded by Toni Enright, 33, and Jamie Cochran, 32, according to a web page entitled “The start of Forever Home Rehabilitation Center,” who met and moved in together in 2007 while working as a kennel attendant and as bather and a groomer, respectively, at the Owl Creek Veterinary Clinic in Virginia Beach. “After residing together in Virginia Beach for four months they got evicted for having too many dogs,” recounted Tidewater Women writer Debi Wacker in one of many flattering media write-ups Enright and Cochran received. Cesar Millan leads applause for himself. Along the way, mentioned Joanne Kimberlin of the Virginian-Pilot, the Owl Creek Veterinary Clinic charged Enright and Cochran with felony embezzlement for allegedly stocking their operation with supplies taken from the clinic. Virginia court records show that Enright and Cochran both pleaded guilty to misdemeanor embezzlement on May 6, 2013. 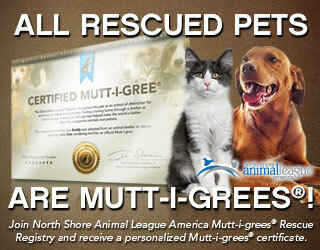 This evolved into a rescue-and-rehabilitation business. Forever Home claims to have obtained IRS 501(c)(3) charitable status in 2012, but has not posted an EIN number and does not appear to have ever filed IRS Form 990. Virginia Beach SPCA shelter manager Barbara Gipson testified that Enright and Cochran “are pretty savvy” about dog socialization. Or so claimed Enright and Cochran. What exactly became of the problem dogs they handled, however, was not always clear. In 2012, for example, Enright and Cochran agreed to take in Alchemy, a St. Bernard from Chesapeake. Recounted Kimberlin of the Virginian-Pilot, “Owned by Ken Stubbs, a 59-year-old truck driver, the St. Bernard turned rogue when Stubbs lost his job and his house, and was forced to shuttle the pet he’d raised from a pup into foster homes. Along the way, the dog bit five people, including a foster parent in Chesapeake, whose wound required stitches. The man’s wife turned Alchemy over to the city’s Animal Services Unit, a move that, oddly enough, put her on the wrong side of the law. Valerie Carter is now facing misdemeanor charges for falsely claiming ownership of Alchemy. The pooch himself was decreed a danger to the community, locked in a cage at animal control and marked to be put down. Stubbs contacted the Lexus Project,” a New York City-based organization that works to rescue dogs scheduled for euthanasia due to dangerous behavior. “The group got Alchemy a stay of execution,” Kimberlin continued, “and persuaded Chesapeake General District Judge Timothy Wright to release him on a $2,500 bond. Alchemy, however, didn’t seem to grasp his good fortune. Animal control officers say that when a Lexus Project attorney came to fetch the dog, Alchemy turned his teeth on his benefactor,” biting both the lawyer’s arm and his leg. Despite all that, Alchemy was eventually released to Forever Home, under disputed terms. Chesapeake city attorney Grady Palmer meant for Alchemy to remain permanently in Forever Home custody, he said, but Forever Home instead adopted Alchemy to persons unknown. Meanwhile Enright and Cochran in May 2016 rehomed a pit bull named McLovin, whom they had received in February 2016 “from Second Chance Rescue, an affiliated shelter based in New York City,” reported Eric Kane of WVEC 13NewsNow. “Only about an hour later, McLovin jumped on top of a car and mauled a cat to death,” Kane recounted. “The adoptive owner handed McLovin over to an animal control officer, who took the dog to the Norfolk Animal Care and Adoption Center. The city said the owner’s willingness to surrender McLovin, gave Norfolk legal custody of the dog. City staff decided to put down the animal because of its history and in the interest of public safety,” but Forever Home, Second Chance, and the Norfolk Animal Advisory Board disputed the decision, stirring up a social media frenzy. Explained Lori Crouch, corporate communications director for the City of Norfolk, “Shelter staff researched the dog’s history and discovered repeated failed adoption attempts with other out-of-state agencies and a rabies certificate that was altered to change the dog’s breed and age. The dog was scanned for a microchip. Staff contacted Home Again Microchip for owner information. The microchip was never registered. Had a similar decision been made in the interest of public safety by New York City Animal Care & Control, after Blue was surrendered to the Manhattan shelter, Margaret M. Colvin most likely would still be alive. “pretty savvy” about dog socialization.- yeah, they’re clearly legends in their own mind. You cannot ‘rehab’ dogs with abnormal aggression, which is a brain dysfunction. What part of putting known vicious dogs DOWN do people not understand? Agree 100% with Anon, posting before me, and sharing to social media with gratitude, as always, for your factual and educational information. How many innocent living beings have to die or be maimed for life, physically and/or emotionally, before this unending and completely avoidable tragedy is stopped once and for all? Any dog that attacks, threatens, maims or kills any other living being needs to be destroyed at once. In the US a pit bull kills a person every 17 days. They are weapons that can pull their own trigger. Where is the documentation and proof on that? All breed of dogs maybe including Chi’s, but definitely not pits only. You’ll find the details, broken down by breed and breed type through the end of 2016, at Dog attack deaths & maimings, U.S. & Canada, 1982-2016. Adding in the first 150 days of 2017, the pit bull toll since 2007 is 271, for an average of one pit bull-inflicted fatality every 14 days. I find I am questioning why a shock collar was part of that horrible situation. That seems an unnecessary and drastic addition to placing a dog for adoption. I know some people believe in life at any cost for homeless dogs, but aside from the worst possible outcome, some dogs are just not mentally able to adjust to all the traumas that befall them as they are passed around, and some have a condition known as “sudden rage syndrome,” which is not able to be overcome. 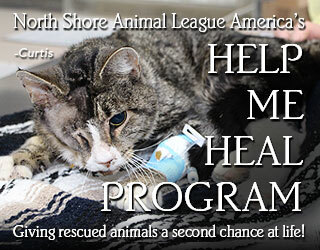 Often humane euthanasia is called for, to prevent the extreme problems that will surely arise. It is sad but true. Alexandra Semyonova in The science of how behavior is inherited in aggressive dogs explains how selective breeding to accentuate the traits sought in fighting dogs has elevated the predisposition toward “sudden rage syndrome” to occurring in perhaps 99% of pit bulls, while selective breeding to eliminate dangerousness has reduced the risk of “sudden rage syndrome” occurring in golden retrievers to perhaps only 1%, even though inbreeding for conformation appears to have made golden retrievers much more susceptible to “sudden rage syndrome” than the average dog. @Merritt Clifton: I have seen golden retriever ‘sudden rage’ up close and personal! I have been doing golden retriever rescue since the mid-90s, most often pulling from – and being called by – various kill shelters in the south. I have been involved in animal rescue and transport since Katrina, as well, which exposed me to all breeds and temperaments, usually in horrible conditions. I’ve been lucky in my personal undertakings, suffering only a bite to a toe in the middle of the night (delivered by a scared multi-poo that I spooked during a trip to the bathroom). I have rescued, fostered and re-homed two pit mixes, neither showing aggression to me or my 3 dogs. They continue to live peacefully in their new homes. Contrast this with the worst bite I ever got — from a beautiful golden owned by a breeder of show-winning dogs who abandoned 15-20 in their kennels after a mental breakdown. I fostered for one of the golden rescue organizations that was called in after the owner surrendered them, starved and seriously ill. Once my first, wonderful foster was adopted out, I was asked to keep a male who had clearly suffered mental trauma during those weeks and had become dog aggressive. He was triggered by direct eye contact from another dog – or, seemingly, nothing at all. One night, he hopped up on my bed and I evidently turned in my sleep. CHOMP! He bit my cheek/jaw, sending me to a plastic surgeon at 6 am. The dog was put down within 24 hours. No discussion. No rehab. No nothing. I cried for his destruction but knew it was for the best. Whatever occurred during that period of horrible neglect had damaged him permanently. TL/DR: I want to laugh/cry when people say ALL pibbies are bad and all other non-fighting breeds are good. I’m fortunate that it wasn’t a pit mix that bit me or my mom since their bite is strong and prolonged. I now regard all large, sweet, well-tempered dogs with a bit of side-eye, having felt the damage a ‘gentle’ golden can do. That said, I’m on my 14th! Responsible golden retriever breeders and rescue groups put down dogs who are biters or aggressive. Breeders do not want dogs like that to pass along traits to other litters, as well as the fact there is a public safety element. Golden rescue groups do not try to rehabilitate these dogs either; it is a public safety issue. The problem is misguided rescue groups who think that all dogs needing homes must be placed. This is unrealistic and unsafe. The dog in this story was a biter who had months of rehabilitation but still remained aggressive. When an inordinate amount of resources are dumped into a single dog, that means other dogs who are sound are left behind. These dogs have a better chance of a successful rehome, but time, money, and space have been dumped into a small handful of dogs like Blue, so they never get the opportunity. Thanks for your perspective. Breeders need to STOP for all breeds until all shelters and rescues are empty. The shelters will never be empty while we are importing rescues from other countries. Shelters will never be empty any more than hospitals, jails, or courtrooms will be empty: they are part of the infrastructure of a community, and if the need for serving one of their functions diminishes, the facilities can be repurposed to better serve the rest. Meanwhile, shelters have positioned themselves for more than half a century as purportedly the most humane and socially acceptable places to get pets, at the same time as successfully promoting spay/neuter to the point of all but eliminating the incoming supply of kittens in many communities and puppies in most, other than pit bulls and Chihuahuas. Shelters have already promoted pit bulls and Chihuahuas so aggressively that shelter adopters acquire them at more than three times the rate of people who acquire dogs from breeders or pet stores, but even so, more than 85% of the people who want dogs don’t want a pit bull or Chihuahua, period. Therefore, in order to keep adoption market share, shelters are having to import dogs, and if the dogs whom adopters can be persuaded to take are unavailable locally, it is not surprising that shelters look abroad, especially to the developing world, where healthy small dogs remain abundant on the streets. This supply is rapidly diminishing where spay/neuter has been made available, however. Eventually shelters will either have to transition from the present modus operandi of emphasizing adoptions, which is unlikely to occur soon, given the investment already made in building adoption palaces, or begin partnering with “approved” breeders, acknowledging thereby that they have become pet stores more than rescue agencies. Somewhere between now and then, we hope, those shelters holding animal control contracts may rediscover their original and intended missions of protecting public safety (including the safety of pets, wildlife, and farmed animals). I want to laugh every time an anonymous poster shows up in the comments of a pit bull attack claiming they have been scarred and/or received plastic surgery due to a coonhound, doxie, golden, yadda yadda yadda attack. Dawn: I’m glad you’re so easily amused but to offer two corrections: I didn’t post as anonymous and I most certainly did get bitten by my foster dog. As did my mother. My post was germane to the current discussion, most particularly Merritt’s comment about sudden rage in goldens. My comment was a summary of Alexandra Semyonova’s mention that sudden rage syndrome occurs in about 1% of golden retrievers, whose breeders are trying hard to eliminate the trait, but in 99%-plus of pit bulls, whose breeders have tried for centuries to accentuate it. M. Will described an experience with how a golden retriever rescue complied with the efforts of golden retriever rescuers to eliminate sudden rage syndrome, whereas many pit bull rescuers pretend it does not exist and/or can be trained out of the dogs, regardless of their histories of explosively dangerous behavior. M. Will mentioned having had two positive experiences with fostering pit bulls, but also concluded, after describing experience with sudden range syndrome with one of 15 fostered golden retrievers, “I’m fortunate that it wasn’t a pit mix that bit me or my mom since their bite is strong and prolonged. I now regard all large, sweet, well-tempered dogs with a bit of side-eye, having felt the damage a ‘gentle’ golden can do.” This seems reasonable, especially in view that many and perhaps most pit bulls who attack people are described as “sweet” and “gentle” beforehand, and often even afterward. And she had taken them off – why did she say she tried to shock him when the collar was indeed off???? Lots of questions. Thank you for digging into this one! When I first saw the story, I KNEW I’d seen that VA rescue before. I remember them from the McLovin debacle, of course. Poor McLovin, euthanized before Pit Bull Nation could crank up the tears. Sarcastic, of course – the thing climbed a car to kill a 12-year-old cat in her own yard. Within an hour of arrival at the adopter’s home. Funny how these groups don’t seem to tally the deaths they cause as being “kill” stats. At the very least, I hope Forever Home gets shut down. Tragically, if it is, it’ll probably be for animal abuse – the pit’s e-collar – not for causing the torture killing of a woman. Forever Home has already run into trouble for alleged neglect. Reported Mike Mather of NewsChannel 3 on November 7, 2015, posting supporting documents, “At Forever Home Sanctuary in Virginia Beach, near Town Center, an inspector noted in February  a dog named Delbert died because of inadequate emergency care. A spokeswoman for the shelter admitted to NewsChannel 3 a staff member kicked the dog so hard it later died. The inspector wrote that several animal enclosures were unsafe, and the facility was not adequately ventilated ‘as evidenced by significant odor and humidity.’” Forever Home did, however, pass several subsequent inspections. Your story about Blue is packed full of lies. I have no idea where you got your information from, but you should have checked with people who had knowledge before you printed these lies. You should be ashamed of the job you did. Media resources like you only make bad situations worse. Our primary source of information about Edie Harry’s role was her own Facebook page. Media sources like this hold people accountable, which is why Edie Hardy is so upset. There are a number of people and rescue groups along the way that failed the woman who was killed and her family. Forever Home Rescue isn’t the only entity that should be sued. 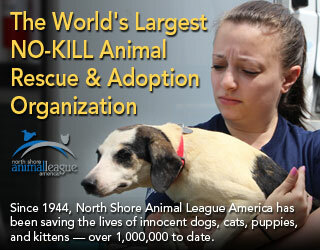 I greatly admire rescue groups, I really do. But I do not understand the zealousness some have toward rescuing dangerous dogs. Unfortunately, I think until we start suing the rescue groups who take these dogs from shelters and adopt them out, this will not stop.